The Panasonic Lumix S1R is a full-frame mirrorless camera with 47 Megapixels, built-in stabilisation and 4k 60p video. it’s one of two bodies launched by Panasonic as part of its new L-mount alliance with Leica and Sigma; the two new Lumix S bodies are differentiated by resolution with the S1 sporting 24 Megapixels and the S1R having 47 Megapixels. Both bodies also have 100% weather-sealing, built-in sensor-shift stabilisation, dual card slots (XQD and SD), high resolution 5.76 Million dot electronic viewfinders, articulated screens, 9fps bursts in single AF or 6fps with continuous AF, and a fast flash sync speed. I got the chance to try out a pre-production sample and have made a video to demonstrate all the new features. Check prices on the Lumix S1R at B&H, Adorama, or Wex. Alternatively get yourself a copy of my In Camera book or treat me to a coffee! Thanks! Like Sony and Nikon, Panasonic has launched two full-frame mirrorless cameras differentiated mostly by resolution: the S1 with 24.2 Megapixels and the S1R with 47.3 Megapixels, the latter just edging ahead of rivals on total pixel count. A high resolution mode shifts the sensor to deliver a composite image with up to 187 Megapixels on the S1R or 96 Megapixels on the S1. Like its Lumix G cameras, Panasonic is implementing a Dual IS system with up to 5.5 stops of compensation thanks to body-based stabilisation working alongside optical stabilisation in the lenses, and Lumix S continues to buck the trend of embedded phase-detect AF by employing a 100% contrast-based DFD autofocus system which works down to extremely low light levels of -6EV with a fast enough lens, and new AF software supports face, eye, body and even animal detection. As with Lumix G, video is a key feature for Lumix S with both bodies supporting 4k 60p, making them the first full-frame mirrorless cameras to offer the capability; on the S1R you can record up to 15 minutes of 4k from 24 to 60p. The S1 allows longer recording times of 30 minutes in 4k up to 60p, or unlimited in 4k up to 30p, and will also support 10 bit recording internally up to 30p or externally up to 60p with an optional paid firmware update from mid-2019. Note the S1 films 4k up to 30p uncropped using the full sensor width, but applies a 1.5x / APSC crop when filming 4k at 50p or 60p. Meanwhile the S1R applies the same 1.09x crop in all of its 4k modes up to 60p. Completing the specifications, the Lumix S1 and S1R offer 100% weather-sealing, a 3.2in touchscreen that can flip up and down and out sideways like the Fujifilm XT3 (although sadly not facing forward), an industry-leading 5.76 million dot OLED viewfinder with 0.78x magnification, dual memory card slots (XQD and SD), 9fps bursts in single autofocus or 6fps with continuous autofocus, Panasonic’s unique 4K and 6K Photo modes, 1080 video up to 180fps, and a fast flash sync speed of 1/320. In terms pf lenses, Panasonic launched the Lumix S with three native models: a 50mm f1.4, 24-105mm, and 70-200mm, with a further seven promised by the end of 2020, and thanks to their L-mount, the S1R and S1 are also compatible with all of Leica’s existing and future SL lenses, and Sigma has also committed to releasing 11 of its ART primes in the L-mount; 42 L-mount lenses are promised by the end of 2020 from the alliance in total. Following several preview shoots with early models, I’ve now had the chance to spend quality time with final production samples of both bodies and in this review I’ll concentrate on the higher resolution S1R. But to start, here’s a video I filmed with the S1 which demonstrates the body, controls and main features, all of which also applies to the S1R. It also compares the quality between the two Lumix bodies and against key rivals including the Sony A7 III. I’ve also included written excerpts from the video below if you prefer to read than view. Here’s the Lumix S1 on the left with the Lumix G9 on the right, and the family resemblance is obvious with the full-frame model sharing may of the same controls and styling. But the full-frame S1 is a substantially larger and heavier camera, with the body and battery tipping the scales at just over 1kg or two and a quarter pounds, making it roughly 50% heavier than the G9, not to mention the Sony A7 III and Nikon Z6, and if you’re used to those models, you’ll find the S1 unusually hefty. 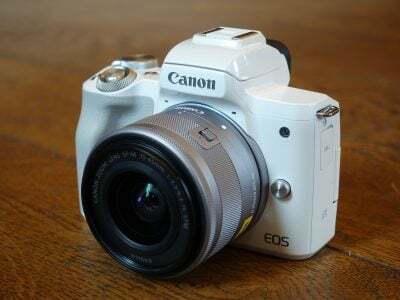 It’s comfortably larger than all those models too, but if you’re used to a DSLR, you’ll feel right at home, with the S1 feeling closer in size and weight to, say, a Canon EOS 5D Mark IV or Nikon D750, and you may prefer this heft. There’s certainly no arguing with the build quality. The S1 feels very robust and Panasonic claims dust and splash resistance. Only time will tell how strong it really is, but over my extended review period, it felt the toughest of all the mirrorless cameras I’ve tested with the heft exuding confidence – it really feels like a professional camera. I’m also fond of Panasonic’s ergonomics with a deep comfortable grip, plenty of room for your fingers, and a control layout inspired by the Lumix G9 which places all the buttons and dials where I wanted them. Rather than develop a new mount and start a system from scratch, Panasonic has sensibly formed an alliance with Leica to use its existing L-mount, which means the S1 can already use any of the Leica SL lenses now and in the future. The L-mount alliance also includes Sigma who’ve promised 11 of their ART primes will become available in L-mount versions during 2019, as well as promising its own body for the system. By the end of 2020, over 42 L-mount lenses are expected from the three companies. Panasonic launched the Lumix S1 and S1R with three of its own L-mount lenses: the Lumix S 24-105mm f4 OIS priced at $1299, the Lumix S Pro 70-200mm f4 OIS at $1699 and the Lumix S Pro 50mm f1.4 at $2299; both Pro lenses are collaborations with Leica and are, shall we say, reassuringly expensive, but the alliance means cheaper lenses will be available. Sigma’s ART lenses represent terrific value for their performance, but I’d wait for the native L-mount versions as adapting existing EF versions with the MC-21 adapter will lose continuous autofocus on the Lumix bodies. The Lumix S1 is equipped with what looks like a new full-frame sensor with 24.2 Megapixels, while the more expensive S1R packs 47.3 Megapixels. Like the Lumix G bodies before it, Panasonic’s sticking with its contrast-based DFD technology for autofocus that’s accurate and works under very low light levels, while also avoiding the artefacts that can impact some embedded phase detect systems under extreme conditions. But can it track moving subjects as well in photos and video? Find out later in the review. Panasonic has also sensibly stabilised the sensor with a 5-axis system within the body, claiming 5.5 stops of compensation with unstabilised lenses, or up to 6 when combined with optical stabilisation on its Dual IS lenses. In a unique feature, the S1 can tell you how hard the IS system’s working with the new Scope IS option. Half-press the shutter release and you’ll see a dot wobbling around – that’s you, with the camera’s IS compensating so long as you keep it towards the centre. Start wobbling too much and the dots position in or outside the outer circle indicates it’s too hard for the system to cope. It’s fun to watch, but informative too, encouraging you to refine your hold and only push the shutter when you’re most stable. In terms of photo stabilisation, here’s two crops from photos I took at 105mm with 0.3 second exposures, the one on the left without IS and the one on the right with Dual IS. On the conditions of the day, I needed at least 1/50 to handhold a comparably sharp image at 105mm without stabilisation, so Dual IS effectively gave me four stops of compensation in this case. To demonstrate Dual IS for video, here’s a clip filmed handheld with the Lumix S 24-105mm at 24mm where I’m deliberately panning or moving around the subject. As always, panning can introduce some unwanted artefacts where the system catches up with itself, and interestingly while horizontal compensation can be disabled for stills, it can’t for video. But with careful use, the stabilisation is a boon and I have a bunch of examples in my separate video all about the movie mode. The top panel greatly resembles the Lumix G9 – so you have dedicated buttons here for the white balance, ISO sensitivity and exposure compensation, although the main difference is instead of having the power collar around the shutter release, it now has a dedicated lever on the top right surface. 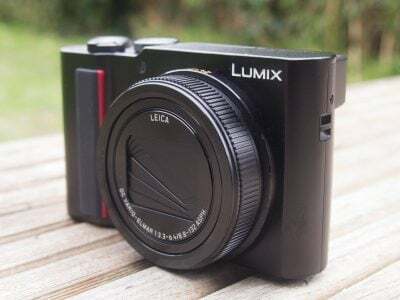 Flick it on and you can see the screen come to life, again similar to the lumix G9, although where the G9’s top LCD was backlit by a twist of the power collar, the S1 now simply uses a button alongside it. There’s a soft touch shutter release that’s thankfully nowhere as sensitive as the G9, a finger dial and a thumb wheel on the rear, both providing nice tactile feedback. Moving to the centre is a hotshoe, no popup flash as you’d expect, and to the left a mode dial that;’s locked from accidental turns. In order to rotate it, you’ll need to push and hold down the button in the middle. You’ll also notice unlike some pro cameras, Panasonic’s kept the intelligent auto mode as well as a selection of picture effects in the menus, but there’s also three custom banks and the movie manual mode. Running around the base of the mode dial is a collar to adjust the drive mode with single shot and a pair of customisable burst modes, joined by the interval timer and self timer positions. Round the back, there’s more similarities with the G9, most notably a chunky thumb wheel, and a collar to the right of the viewfinder for switching the focusing modes between single, continuous and manual. However new to the S1 is a dedicated AF-ON button, as well as a relocated movie record button that used to be on the top of the G9, and finally an AF joystick that’s now easier to reach with your thumb. On the G9 it was positioned a little too far to the left, involving a stretch to reach it. You’ll also notice an operation lock switch. The Lumix S1 is also well-equipped for operation in low light. Pressing the button to backlight the top LCD also considerately illuminates five of the buttons on the rear, making them much easier to find in the dark. I look for this on every high-end camera I review, but so far it’s a feature that’s eluded all other mirrorless cameras and only found on a handful of high-end DSLRs, so a big thankyou to Panasonic for including it here. There’s also a night mode for the display and viewfinder which can set them to a dim red tint to preserve night vision. Again as someone who shoots a lot of long exposures and astro-photography, this is a very considerate feature, and shows Panasonic is really thinking about its pro owners. As you’d expect for a pro camera, the S1 allows a great deal of customisation. Just for starters here’s a scroll through the menu which allows you to customise just about every button on the body, not to mention a bunch of soft keys on the touchscreen. The viewfinder is a highlight of the Lumix S bodies, with Panasonic becoming the first company to deploy a 5760k dot OLED panel, delivering a more detailed image than rivals, most of which currently use 3680k dot panels. The magnification is 0.78x, so a tad smaller than the 0.83x maximum setting of the G9, but believe me, that’s still plenty big enough and in-line with most other bodies. I’ve no doubt the next generation of high-end mirrorless cameras will also use this high resolution panel, but right now, Panasonic takes the lead and it’s a joy to behold with even distant or very fine details becoming resolved for a natural view, especially coupled with the 120fps refresh option. In terms of screen articulation, Panasonic’s gone for a tri-axial system like the Fujifilm X-T3 which means the 3.2in LCD can angle down by about 45 degrees, or up for about 90 degrees for easy framing at high or low angles in the landscape orientation. Then for those shooting in the taller or portrait orientation, a button on the left side of the screen allows it to angle out sideways, not by quite 90 degrees, but enough to frame comfortably again at high or low angles when you’re shooting this way round. The one thing it won’t do is angle out to face-forward which reduces its usefulness for anyone filming pieces to camera, and while I realise vloggers are a minority group, I can’t help but be disappointed especially when Panasonic has historically embraced fully-articulated screens. Panasonic’s reasoning is the greater toughness of the S1’s mechanism, although I never experienced issues with the GH5 or G9. Vloggers can of course connect a monitor to the HDMI output but it’s not as convenient. As always, Panasonic makes good use of its touchscreen interface – you can of course tap to reposition the autofocusing area and in quite a nice new feature you can adjust the size of the AF area by simply dragging the handles in and out by touch. The redesigned Q menu is fully touch sensitive, allowing you to tap and drag your way through options, as is the main menu system itself, again redesigned, more of which in a moment. You can of course use the physical buttons and dials if you prefer, or a combination of whatever feels natural, and in playback you can swipe through images and double tap them to instantly zoom in, before pinching to adjust the zoom or dragging around. Anyone familiar with Panasonic cameras will notice the redesigned menu system of the S1 bodies, employing a two-tiered approach. So there’s six main sections in the far left column, with each expanding into subsections in the column alongside. So if you choose the main camera section, you’ll then be presented with subsections for image quality, focus, flash and others, each with their own page of options. The amount of sub-sections depends on the main mode, but splitting them up like this ensures there’s no vertical scrolling through long lists and means you can simply refer to a specific page. Clicking through two sections to reach an option rather than just one takes a bit of getting used to, but it’s a sensible approach to navigating the sheer amount of options available here. Behind two rubber flaps on the left side are microphone and headphone jacks, neither of which of course have to worry about a screen obstructing them. Below this is a USB C port which can be used for charging the battery in-camera, as well as powering it for operation, and I managed both with my 13in MacBook pro charger. It also of course supports data transfer at 3.1 speeds. Below this is a full-size HDMI port which I love as it means you’re not messing with vulnerable smaller plugs, and as standard it’ll output 4:2:2 in 8 bit up to 30p or 4:2:0 at 50 or 60p. The S bodies are of course equipped with Wifi, complemented by Bluetooth to maintain a low power connection. Everything’s controlled by the new Lumix Sync app, seen here in the Android version running on my Galaxy S7 and using Bluetooth to seamlessly embed GPS locations to your images or provide a simple and responsive remote trigger. Bluetooth will also sort out a faster Wifi connection for you in order to enjoy full remote control with live view or to wirelessly transfer images. Panasonic’s previous wireless implementation was already good, but Lumix Sync matures it with smooth and glitch-free operation, at least on my Galaxy S7. Inside the grip you’ll find twin memory card slots, although rather than using a pair of SD slots like earlier Lumix G bodies, Panasonic’s opted for one SD UHS II slot and one XQD slot. Now there’s pros and cons to this approach. On the plus side, it’s nice to support potentially faster, not to mention more robust card formats like XQD but at the time of writing similar capacities worked out two to three times more expensive than a decent SD. So populating both slots will cost you more than buying two SD cards, but at least there are two slots unlike Canon and Nikon’s mirrorless cameras to date. And lest we forget, while Sony’s A7 III and A9 bodies also have twin SD slots, only one supports UHS II speeds. The S1’s substantial grip is home to an equally substantial battery with an industry-leading 3050 mAh rating, almost double that of the G9’s battery. I love it when camera companies develop large capacity packs, but don’t assume it translates into proportionately longer life, as the S1 turned out to have a voracious appetite during my time with it. Panasonic quotes around 400 images per charge, or up to 1000 in the power save mode, and I noticed it depleting faster than, say, a Sony A7 III under similar usage. On the plus side, I did manage almost three hour’s worth of 4k video on a single charge, but for photo use it was hungrier than I expected. The Lumix S1 offers four burst shooting options: Low and Medium at 2 and 5fps with live feedback, High at 6fps if you want continuous AF and live feedback or 9fps without either, and finally the 4K / 6K Photo mode which allows you to extract frames from video shot at 30 or 60fps. You can configure the two drive modes to use different speeds, so I set one to High and the other to 6K Photo. Here’s how the mechanical shutter sounds at its top speed of 9fps with single autofocus and when I wave my hand in front you’ll notice the laggy feedback at this speed. Switch the S1 to continuous autofocus and the camera slows to 6fps with some blackout but also live feedback between frames that makes it easier to follow action. Pushing the button in the middle of the AF collar presents the AF area options, starting with the full 225 area, followed by customisable zones, expand and single area and a new smaller pinpoint option. And arguably the two most exciting options, tracking and object recognition with face, eye, body and now even animal detection. The animal detection is switchable. Ok so here’s the view with object recognition enabled where the S1 will surround anything of interest with a flexible white frame. It’ll single out what it thinks is the most important one with a yellow frame for focusing, but you can simply tap a different box or use the AF joystick to change the selection, then once you’re half pressed and focusing, the frame around the active target will turn green. Notice how once a person is sufficiently close, body detection is switched for face and then eye detection, the latter indicated with cross-hairs. The software is able to identify and follow faster subjects like cyclists or skateboarders, but I enjoyed a higher hit rate of focused shots when using the zoned or single areas. That said, I also noticed the autofocus slowed down when i had the Atomos recorder connected for these sequences, so assume faster response than you’re seeing here in real-life. While the system finds it easiest to identify objects in motion, it can still work if there’s sufficient difference against their background, such as these groups on the beach. With animal detection enabled, the S1 will also frame birds, cats and dogs, like Molly here, and if AFC is selected it’ll also attempt to track them, although again in my tests it worked best for mild motion. The system also works with animals and humans on the frame, surrounding each with flexible frames, although eye detection remains limited to humans only. Animal detection also worked with birds, although again with the most success when they were reasonably static. Once in flight the S1 focused more successfully with the zoned or single area modes. Overall the tracking software is impressive at identifying and boxing objects with flexible frames as they move around the frame, and it’s a great option for subjects that aren’t moving too quickly. If you prefer to manually focus, the S1 bodies allow you to adjust the focus ring control on the lens. Like most mirrorless cameras, it’s a motorised fly-by-wire system which operates in a non-linear fashion by default. This means the manual focusing speed is proportional to the speed at which you turn the ring. You can see it here with magnified assistance and focus peaking, first slow then fast where it’s hard to nail the focus. 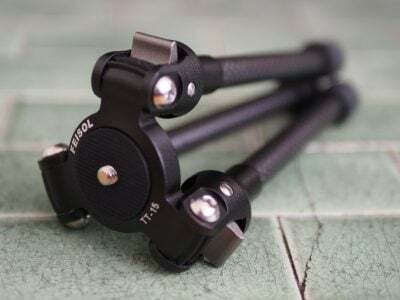 Videographers in particular prefer a linear system which mimics a mechanical couplings based on angular rotation rather than speed. Not only do the S1 bodies offer a linear manual focusing mode, but also with the choice of angular range. So a big thanks to Panasonic for including this. Like the Lumix G9, the S1 bodies offer a High Resolution mode that grabs a burst of images while exploiting stabilisation to shift the sensor slightly between each one. These are then composited in-camera to generate a single higher resolution image which also reduces the colour artefacts of the Bayer filter array. With the S1, the mode boosts the 24 Megapixel native resolution to 96 Megapixels, while on the S1R, the native 47 Megapixels are boosted to a whopping 187. Here’s how it works in practice. The initial burst is quick, after which the camera takes about ten seconds to process the image. The camera then stores two RAW files, one of the single first frame and the second of the composite result. You can view them on-screen, but you’ll need to use software to process them into a JPEG or TIFF later; Panasonic supplies its Silkypix software, although Adobe is expected to support it. So is it any good? Let’s start with a resolution chart shot from a tripod, and on the left is the native 24 Megapixel version, while on the right is the composite 96 Megapixel version, and there’s certainly a clear difference between them. This is the kind of environment the mode works best, capturing entirely static subjects from a tripod. Now for an outdoor scene under natural light, again from a tripod, and again on the left is the native 24 Megapixel version and on the right the composite 96 Megapixel one. As before, there’s definitely greater detail resolved in the composite version, although anything that moved during the capture period, such as people, cars or birds, is rendered with undesirable motion blur. Now this was shot using Mode 1 and Panasonic offers an alternative mode that’s said to better handle elements in motion, so I’ll take a closer look at the difference that makes in my S1R review. But for now I’m confident in saying it’s a useful tool in studio environments for boosting the effective resolution, and the only rival full-framer to currently offer anything similar is the more expensive Sony A7r III. The Lumix S bodies also inherit 4K and 6K Photo modes first seen on the Lumix G cameras, which allow you to extract JPEG photos from bursts of high resolution video. There’s three main modes on offer: 4K Photo at 30fps, 4K Photo at 60fps and 6K Photo at 30fps. The 4K Photo modes capture a cropped APSC area, whether at 30 or 60fps, and allow you to extract 8 Megapixel stills, while the 6K Photo mode employs a milder crop and lets you extract higher resolution 18 Megapixel images. In terms of the recording method, you can choose to keep capturing while the shutter is held, start and stop recording with a push of the shutter, or in my favourite mode, pre-burst which keeps a rolling buffer of the last second’s worth of footage while the shutter is half-pressed, before committing it and the subsequent second’s worth after a full push – this allows you to effectively rewind from the point you pressed the button to capture something you just missed. To demonstrate pre-burst in action, here’s a shot I took earlier, pushing the button as the bird took flight. First you’ll need to push up to tell the camera to prepare the file for navigation which takes a few seconds. Now take note of the number at the top: the zero represents the moment I pushed the shutter fully and you can see my reactions meant the bird on the left had long gone. However thanks to the pre-burst mode I can effectively go back in time by up to one second, allowing me to capture the exact moment when the bird took flight, and at 30fps I have 30 images to choose from. And then when I find the frame that I want, I can just push the button in the middle of the wheel to save a still JPEG photo, at 8 Megapixels if I used 4K Photo or 18 Megapixels in 6K Photo. And I can capture as many frames as I want from this sequence, either now or when I playback the file later. The biggest limitation is 4K and 6K Photo use the movie focusing capabilities which aren’t as quick as those for stills in AFC, but for action that’s not moving particularly quickly towards or away from you, it’s a valuable feature to have at your disposal and something that’s not available on other full-framers.